Happy Monday! It’s been a wonderfully cool and breezy day here in Pennsylvania! It feels like fall! Last week I shared my fall home tour. Here’s another look at my living room. 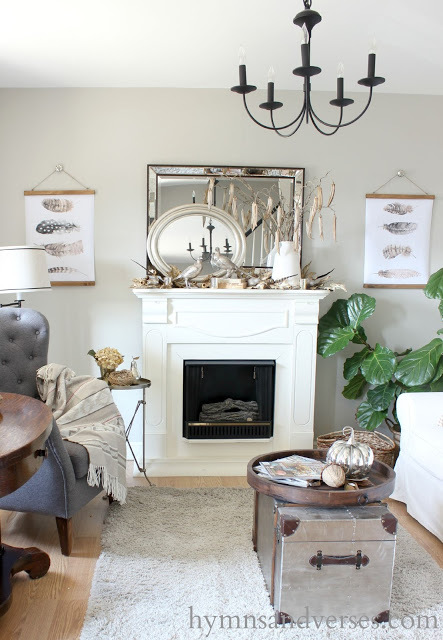 On either side of my fall mantel are feather printable wall charts that I put together in under an hour. First, have each feather printable enlarged as 18 x 24″ color engineering print at your local Office Depot. My prints are typically ready for pick up the same day. Each print was under $5. Next, stain your 1 x 1″ wood pieces. I used Thompson’s spray stain in Traditional Brown. I like to use this spray stain for small projects like this. Apply hot glue to each piece of wood and attach it evenly along the top and bottom edges of each poster print. Screw two eye screws into the top pieces of wood about 1 1/2 inches from each side. 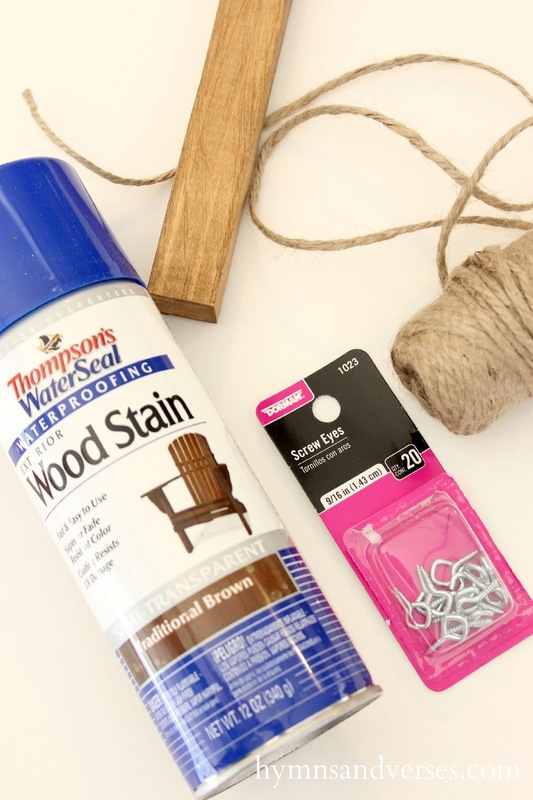 Make a twine hanger by tying twine to each eye screw and hang! Wasn’t that easy!!! I hung mine from mercury glass drawer knobs that I already had in place. You can read more about using a drawer knob to hang art in HERE. 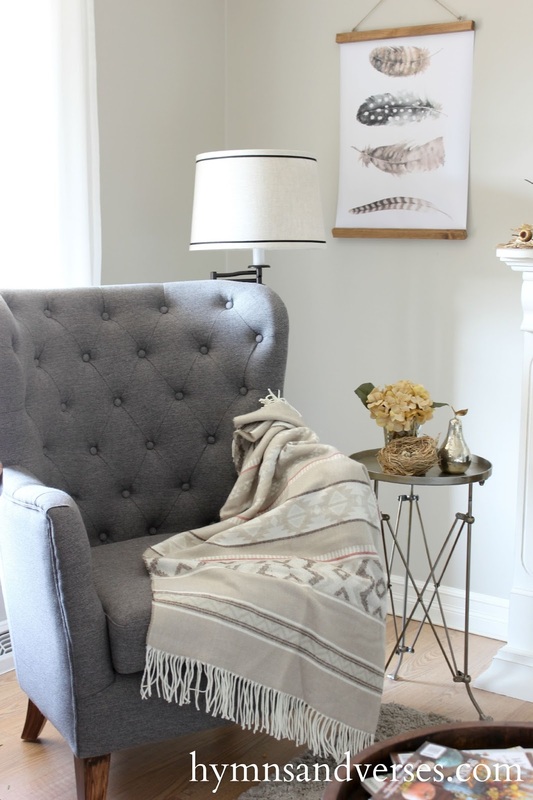 This is easy and inexpensive wall art for your fall home! The feather printable pages are available in my FREE Printable Library that you can access by signing up to receive my new posts by email! 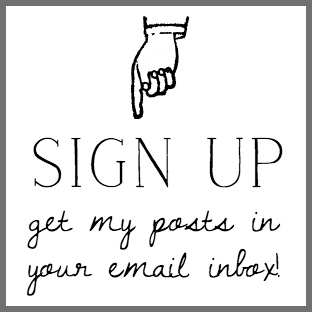 Just click the image below to sign up! It’s free and easy! 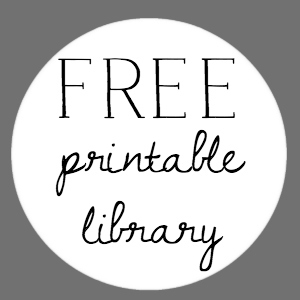 Once you sign up, you’ll receive an email from me with the password for the FREE Printable Libary! Thanks for stopping by today! 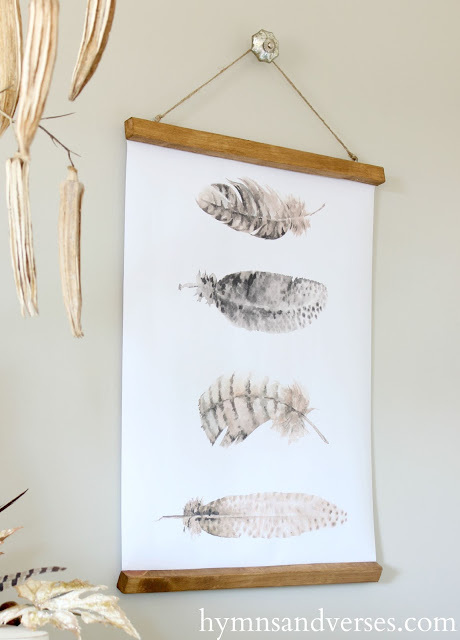 I’d love to hear if you have used these feather prints in your own home! Here are a few other fall DIY projects for your home that you may want to check out! What a beautiful idea – they look perfect !!! When you say "Posters" are you referring to poster board like kids use to make signs, or the harder construction (foam core) that you can buy at DT? Either would probably work! What an easy way to make "large pictures" for a big space. Thanks for sharing. The "posters" are actually just 16" x 20" inch color engineering print enlargements from Staples – just paper. Thank you, Doreen. I should have known since you said it was printed at Staples! Duh! 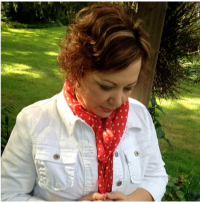 I visit your site all the time – love your coffee table and the fall arrangement. Thanks for such a quick response. They are so beautiful….a most creative idea and a beautiful result!! What a simple, pretty project! Thanks for the free link! LOVE your wall chart! Thanks for the free printable. I'll be making this one! Hi there – these are so pretty, but when I download them they have a black background, not white like yours. Any idea why? I would like to email them to staples to print (I do that a lot with pinterest printables!) Thank you for your help! Hi, Lori! So glad you like the feather prints. I see what you mean. I think it’s because it’s a png file – it looks like a black background in box. But, when I downloaded it to my desktop, it is the white background. Give it a try and let me know if you still have a problem. Thanks. Hi, I tried to download them, and even made an account on Box, but it never downloads. What am I doing wrong? when i download these and upload to staples the entire artwork is not showing. it is like it is magnafied and i am only seeing some of the feathers. any tips for me? Does it show black as the background or a checked pattern as the background. If so, that’s because it is a png file and the background has been erased to give you the clearest image possible. Also, what size print are you selecting on the Staples site? I believe the images are saved as 18″ x 24″. If you are still having a problem, let me know and I’ll try to help you. I’m having trouble downloading – when I click “download” nothing happens. I’ve tried on two different computers, a PC and a Mac. Any tips? Hello. I love your ideas and your home looks beautiful. I am trying to access the watercolor feather printable, but cannot find the link in your free printable library. Could you help me? 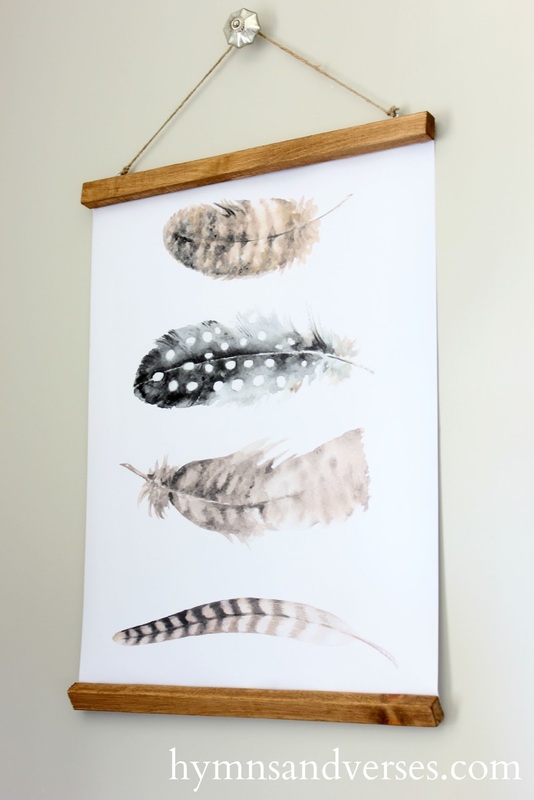 I had some trouble with my printables page, but the feather printables are there now.